Professor “Poney” is one of those warriors who has an impressive stack of credentials and the heart of a teacher. His skills have been honed by years of a rich diverse training regime, which is helping him launch a budding career as a professional MMA fighter. We're pumped to have him join us. Jitsu and never looked back. "My focus has always been jiu jitsu," he says. 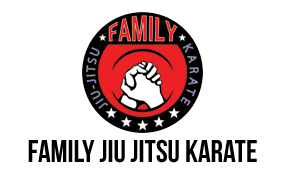 As a 2nd-degree black belt in Jiu-Jitsu, red belt in Karate, green belt in Capoeira and brown belt in kickboxing, he shows no sign of slowing down. 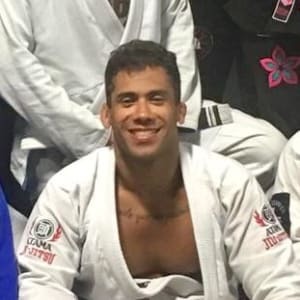 He has had some amazing victories on the national and international stage to include: 2x Brazil National champion, 2x State champion in Rio de Janeiro, National Brazil champion NoGi, South American champion, 2x National championship team Brazil, world champion 2008, and 3rd Place world championship 2006. He currently has a 6-3 MMA record and has fought in USA, Canada, and South America. functional training, runs 3 times a week and things like that." He elaborated that he did hours of sports-specific training and maintained a 3-5 hour training day. Nutrition, of course, is the foundation and fuel on which anychampion is built. When asked about diet he said, "...during training camp everything is very specific. I have a nutritionist, Ana Primera who helps me with my diet." He admits that he eats fairly clean, but likes to relax a bit over the weekend. Other key attributes for a champion are focus and tenacity. One can simply never accept defeat. One must always give 100%. We asked Poney what his advice was for kids and where he says Jiu Jitsu is going in the future. He told us, "JIU JITSU IS FOR LIFE! It is a lot more than a sport or a martial art." He emphasized how important it was for kids to start young and begin the process. He believes that Jiu Jitsu is a dynamic sport and the foundation of a successful MMA fighter. When it comes to the future growth of the sport he says that he sees it as taking over the world. Jiu Jitsu is for everyone and he hopes to see it practiced everywhere. Martial arts, in general, can help you gain focus and create an enhanced state of situational awareness. Whether you have a desire to be an elite athlete or a weekend warrior, you should train with a purpose, have a goal and a plan. Jiu Jitsu gives you all the above. and Wednesdays, you can ask him some yourself. Kids/juniors classes are at 5:00 and adults are at 6:00. Have a great week, and see you on the mat! and History’s Prisoners under the pen name James Garmisch.